It’s great to get the little ones involved when it comes to cooking and preparing food. Especially baking sweet treats! Even if your little one is too young to get involved with the mixing and baking, they can have fun decorating them. 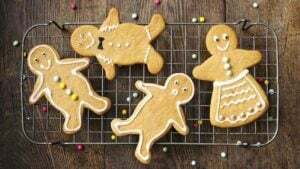 We think these smart gingerbread men and women by BBC Good Food are a great place to start. There’s so much fun to be had here too. We’ve searched high and low on the internet for some creative wreaths and these 3 are our absolute favourites. If you’ve ever made pom pom’s you’ll understand how addictive it is! And this wonderful winter land wreath with polar bears would look just perfect anywhere in the home. Sea Salt have shared this rustic rope wreathe, finished with a perfectly festive bow, especially perfect if you’re a fan of the nautical theme. And of course there’s one for the avid baker. This gingerbread wreath by BBC Good Food looks delightful, if only it’s not gobble up before you can hang it. One of those traditional little touches to the home, but a really simple one to get the family involved with. 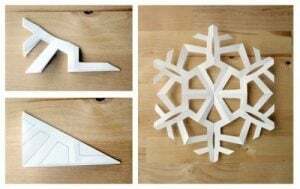 We hope this post has inspired you to get creative in the home, with something for the whole family to get stuck in with. We protect the things you care about most. Quotes are illustrative and based on perfect health and lifestyle. Earn yourself an extra £40 when you refer a friend through award reward scheme. Click here to learn more. Protect Line Ltd is an appointed representative of TenetLime Ltd which is authorised and regulated by the Financial Conduct Authority. TenetLime is entered on the Financial Services Register (www.fca.org.uk/register) under reference 311266.